Starting with this post I would like to introduce something new to the blog. Something different and yet written in a similar fashion compared to my previous stories. This would be a new thread dedicated to science only with my own narration, style and write up. When I started with the blog year ago all I wanted is to have a place where I could be able to write my public thoughts, something that could give random reader a good description of me and my view to the world and beyond. That goes to both random readers, either one living in present day or the one reading this from some different point in future time. But now with this post I am trying to expand the blog a little bit further. I am still doing it off work and in my spare time but nevertheless it is always fun and inspirational for me. The idea for the new thread I got after my post named Human Relations - Geni and Genographic Projects and conversation with my dear Facebook friend Beth Perry Steger. Genealogy is a very interesting science and Beth and I shared interesting talk about genealogy in general and her experience with National Genographic Project I was writing about in my post. Beth also very generously sent me a brand new NG kit so I can be able to participate and learn more about my haplogroup and common ancestors written in my DNA. This is still in progress and I am sure you will read more about this in the future. Of course I offered Beth to pay full expenses for the kit and the trouble and, to my surprise, she told me this: "This is what I would like for payment. I would like to ask you questions about science that I do not understand. I won't pepper you to death. But as a question arises I will ask you input.". Without hesitation, I gladly and enthusiastically accepted and this post is the first one in the thread I named "Beth's Q&A". I am sure it will be fun and I will try to make it popular and readable. Of course, if you like it please send me your feedback with new ideas and recommendations. You can use 'Feedback' button on the left or social networks. That said, let's go and explore our first topic. The mighty God Particle. What first comes to my mind when I start thinking of Higgs boson and what is the most remarkable thing about it is that this research is about the very core of the fabric of our space and time continuum itself. Maybe the first success in understanding our Universe and how and why it works the way it does. I guess we all ask ourselves questions like what exactly the extraordinary void of space is made of? Is it empty? Pure vacuum? Nothing at all? Or maybe there is something there SF authors call it ZPE and drain vast amount of energy out of it. With recent announcement of the discovery of new boson in CERN that is proposed and yet not confirmed to be Higgs, it completes the standard model of particle physics and more importantly, if the discovery later this year got its confirmation it would mean that Higgs field is more or less spread out everywhere and inhabits the very core of the fabric of our universe. Before we go exploring the Higgs itself one more thing we need to explain before and that is the word 'boson' itself. I will try not to go too deep into particle physics on this one and state only that particles named or suffixed with the word 'boson' are fundamental particles and they represent the force carriers of some field. That means that any kind of interactions, including the fist fight, is nothing more than just exchange of gauge bosons between elementary particles. So if you are a boxer and have broken nose you definitely have to work more on your lazy bosons. Nothing more to add to this wonderful analogy and if you want more you can find others as well explaining the same thing. I even stumbled upon the analogy where George Clooney is acting the particle walking the street filled with paparazzi photographers representing the Higgs field and while random citizen is walking through the crowd easily Clooney would have big problems to do the same caused by too much attention. While paparazzi are starring the Higgs field in this case it is uncertain what is driving them to do it representing the Higgs boson itself so I would stick to John Ellis and his snow metaphor. Sorry George. Now get back to the motion in our Universe. What is certain and clear in Big Bang theory is that at first, immediately after the explosion the universe where pretty much different. It was like a giant soup of ingredients traveling without mass in all direction having no interactions what so ever between each other. More or less after the big inflation process that is yet hard to swallow the universe as we know today started to emerge. This was the point when Higgs field initially formed and when particles started to interact with it slowing down their travel tremendously from speed of light to couples of hundreds of thousands mps allowing them to interact with each other forming complex elements, molecules, stars, planets and ... life as we know it. This is still in progress, the Universe is only 13 billion of years old and many more awaiting ahead so we can only guess what more complexity will come out of it in next 13 billion. If you think twice from the Big Bang perspective, if Higgs field didn't emerge the Universe now would be just another diluted and expired soup with spoiled ingredients doing nothing but flying alone. I guess this is why people nicknamed the Higgs boson the God Particle in the first place. So now when Higgs is found (hopefully further study of the vast amount of data given by LHC will confirm it) one more force remains to be explained and that's gravity and it's corresponding boson 'graviton'. However, there is a big doubt that gravity is acting like force at all. It could be just a property of interaction between particles with mass and space fabric. Ever since Einstein general theory of relativity physicists are thinking toward the idea that gravity is nothing more than just a consequence of the curved fabric of space by large masses and tremendous speed of everything in space. Like I said before nothing is standing still, even when we are in the deepest sleep not moving a muscle except our eye balls in REM stage of the night we are still traveling throughout the universe along with our planet, our sun, our galaxy, our galaxy cluster, etc. If you are not famous Doctor Who who is only capable to feel this motion you'll have to trust the science on this one and accept that this complex movement is happening in pathways of space made by mass of all objects in existing. These pathways can be chaotic and changeable in an asteroid belt for example or solid and nicely shaped if you are big in size and orbiting the larger object in geometrically symmetrical path. These pathways are maybe what we describe today as gravity. Even the standard model of particle physic doesn't predict graviton in a way other bosons are acting and proven their existence. Future and more study in experimental physics will tell. Maybe even some new theory will replace the standard model in the future and we will start over with understanding our surroundings. One thing is obvious and in a way bizarre. The smaller the particle is in order to detect it and prove its existence the bigger in size is your instrument. We knew this when we made first electron microscope when it grown many times in size comparing to its optical friend. We managed to see smaller objects with it only by shooting electrons and catching them bouncing back from the objects we are looking. On the other side the smaller the objects are the chances to disturb them with our instruments are higher and direct observation are simply impossible. Simply put if you fire an electron in order to monitor other electron the collision between the two will end in chaotic movement of the shooter and it will never bounce back. You even can't see the heaviest atom with electron microscope for the same reason. The only instruments left are indirect ones that "films" the collisions and later study those "films" and learn from it. 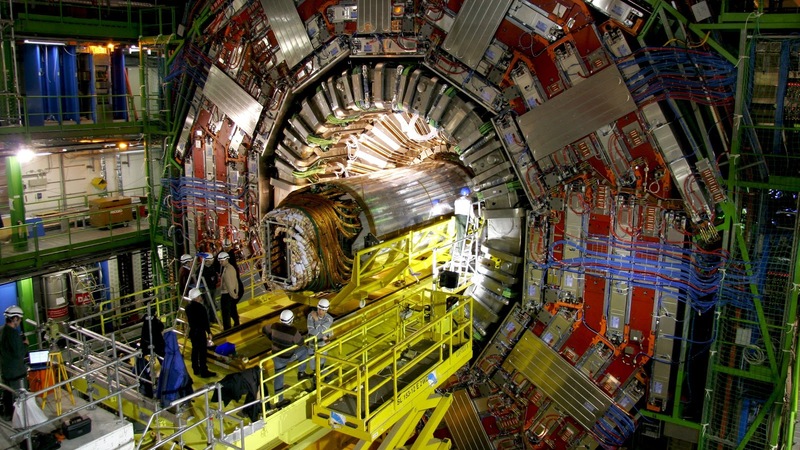 Large Hadron Collider is the biggest instrument of the kind. It is the particle accelerator with several giant detectors where separate scientist are assigned to. ATLAS (in below picture) is one of 7 particle detectors within LHC (ALICE, ATLAS, CMS, TOTEM, LHCb, LHCf and MoEDAL) and both CMS and ATLAS with different teams of scientists detected a boson that is now a solid candidate for Higgs. 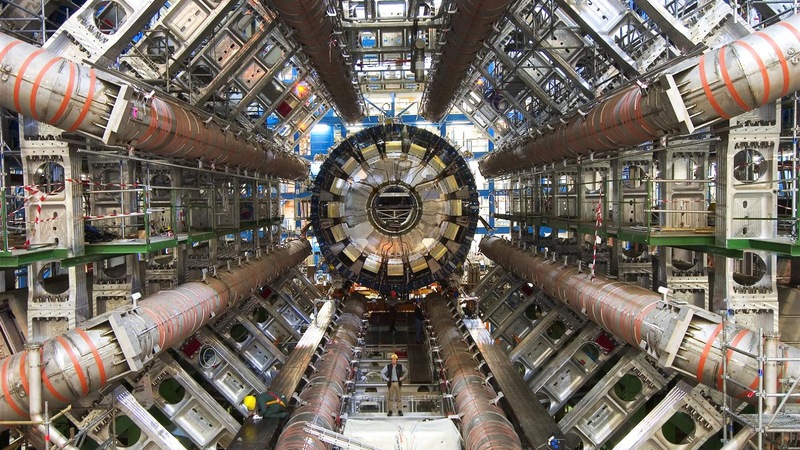 In order to either collide big particles traveling near to speed of light or just to stop them in particle detector LHC's ATLAS is as big as large cathedral. Learning from this collisions is comparable to police forensics, measuring the stopping tracks, inspecting curves of particle travel, monitoring "debris" created in collisions, etc. That's it for the very first Beth's Q&A. Hope you would like it and find some more interesting stories in below links or keywords for your googling. I'm not sure if I was able to convey the story of the God particle in a proper and popular way but at least this is how I see it and understand. It was lot of articles on the net regarding it and many are funny and informative in the same time, just like in the last guardian link below - don't miss it, its hilarious. 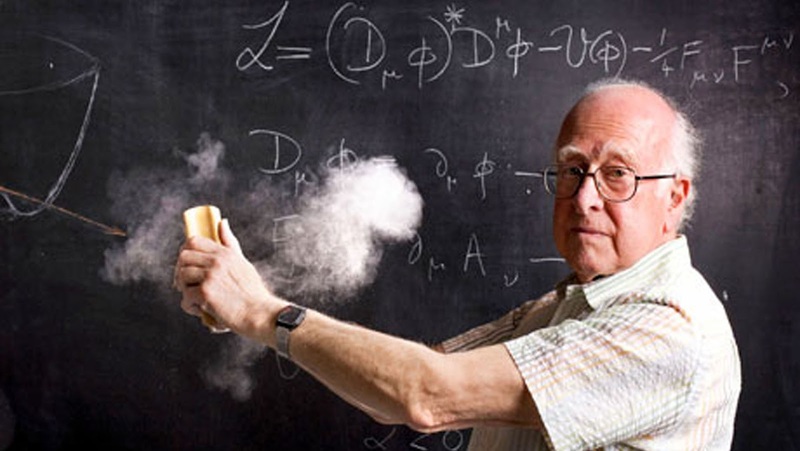 I'd like to add a few thoughts to your post about Higgs boson. "The God Particle", namely the Higgs boson, is the title of a popular science book by Nobel Prize winner Leon Lederman, who was Fermilab's director for many years. According to Leon, he wanted to call the book "The Goddamn Particle" because nobody could find the thing. However, his editor discouraged him from the title, suggesting that "The God Particle" would sell many more copies(I reported what Marcelo Gleiser says at The God Particle: A Disclaimer, but it is well confirmed also by others). However, yes the Higgs boson is one of the main missing pieces of the puzzle in the Standard Model. I am far from being confident that its detection will be confirmed, I am very skeptical about it, so I refrain from dwell on the consequences that an eventual confirmation might have. 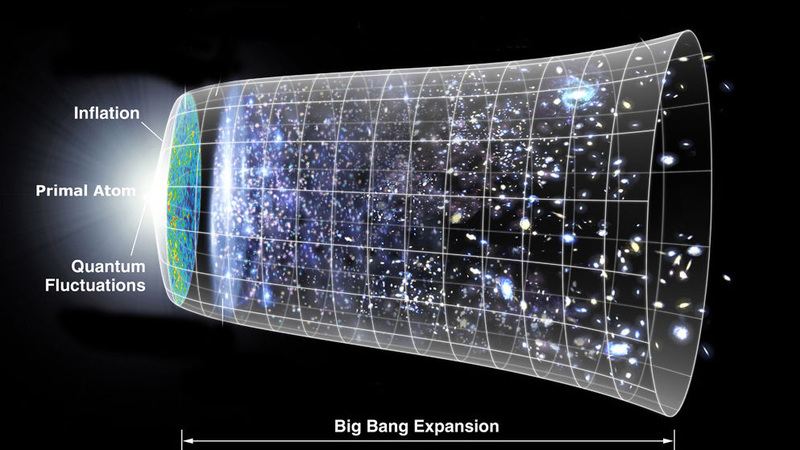 What I would like to point out is that the Big Bang Theory, to which the Higgs boson belongs, is still far from being persuasive, especially since postulate a singularity (an infinitely great mass confined in a infinitely small space, a kind of primordial black hole) that 13 billion years ago (we even have an approximate date of when the singularity sprang our Universe!) exploded (Inflationary Model). Wow, this is much more divine than the Higgs boson, isn't it!? Still, do we get any answers about where this singularity comes from? Higgs boson or not, I think the puzzle drawn by the Standard Model is NOT a step in the understanding of how the Universe is, but a step in how we manage to interpret it! Our map of the territory, no matter how big our research instruments are. Are we sure that SM is clever in enough?